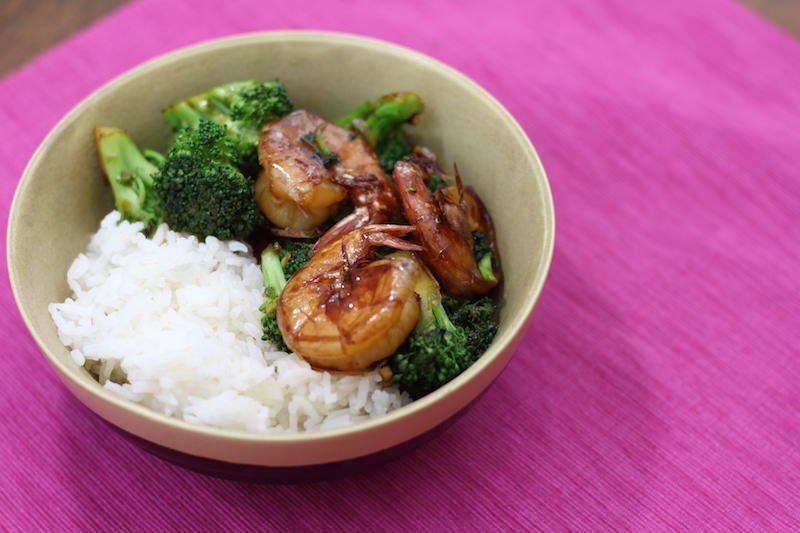 In my quest for finding quick dinners, this Honey Garlic Shrimp and Broccoli from Homemade Hooplah was definitely a winner. It turned out delicious, took only 20 minutes to prepare, was salty, sweet, and delicious, and you can substitute basically any meat and veggie you like to make it your own creation. Personally, I will use a little less honey and a little more soy sauce next time to make it more to my taste, but hey, not bad for a first try! The ingredients are so simple that it makes for a boring picture. In fact, the hoisin sauce just snuck in the picture because I confused this with another recipe at first. You don't even need it! 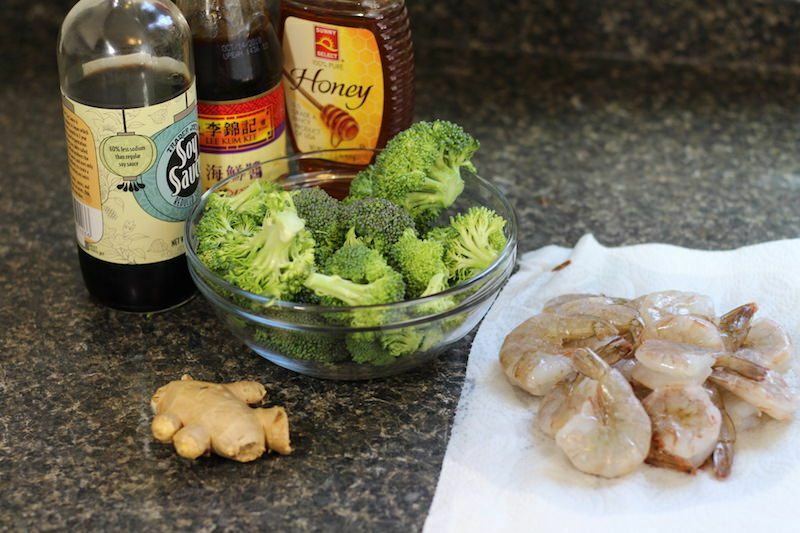 So all you need is shrimp, broccoli, soy sauce, ginger, garlic, honey, plus salt and pepper if you want. If you want rice with this meal, start your rice immediately. It will probably take longer to cook the rice than it does to cook this entire meal. Noodles cook faster if you're pressed for time! 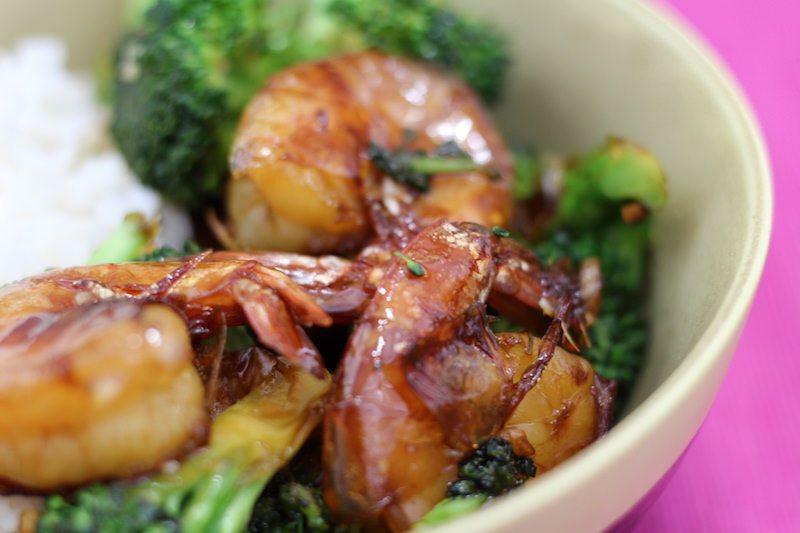 Here's a photo of the honey garlic sauce. I recommend following the recipe exactly as is for the first time. I tried to scale it down to 1/2 just for me, and ended up running out of sauce! 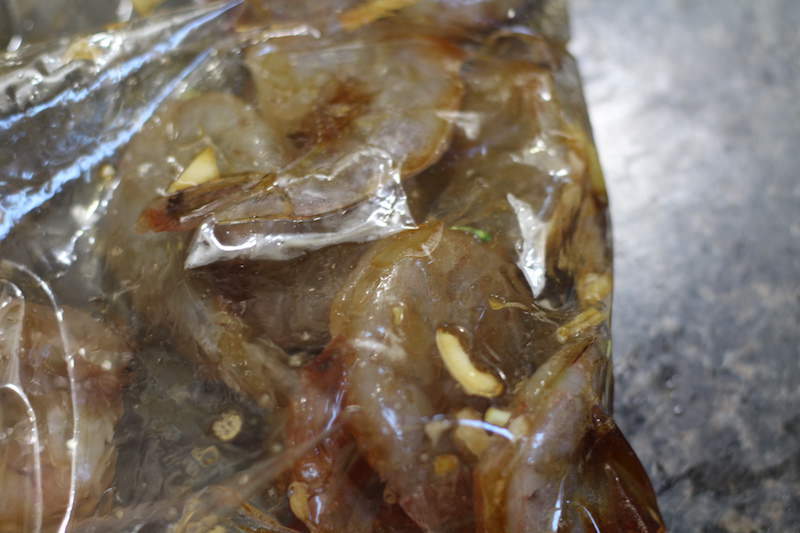 The recipe asks us to marinate the shrimp in a bag with the honey mixture. Personally, I don't think this was necessary, but I guess it does save your hands from getting all sticky. It wastes a plastic bag though. 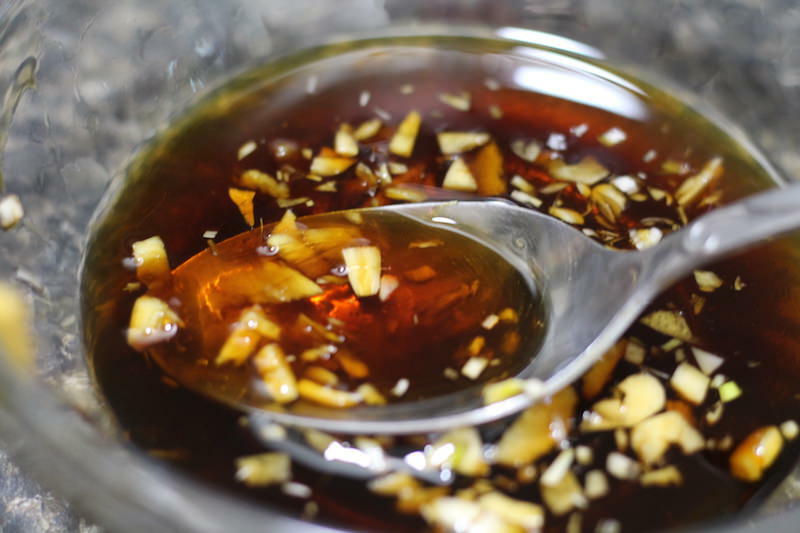 You can decide how to marinate it, or if you need to at all. It's not like it spends a lot of time in the bag anyway. 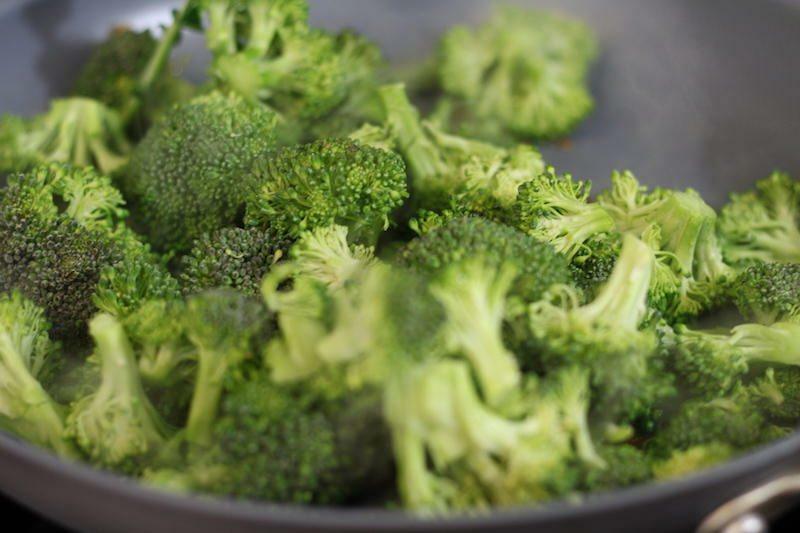 My advice is to cook the broccoli with just a bit of water to steam it, THEN add a bit of the hone mixture. The recipes asks us to put a couple tablespoons in the pan first then cook. I prefer my way! 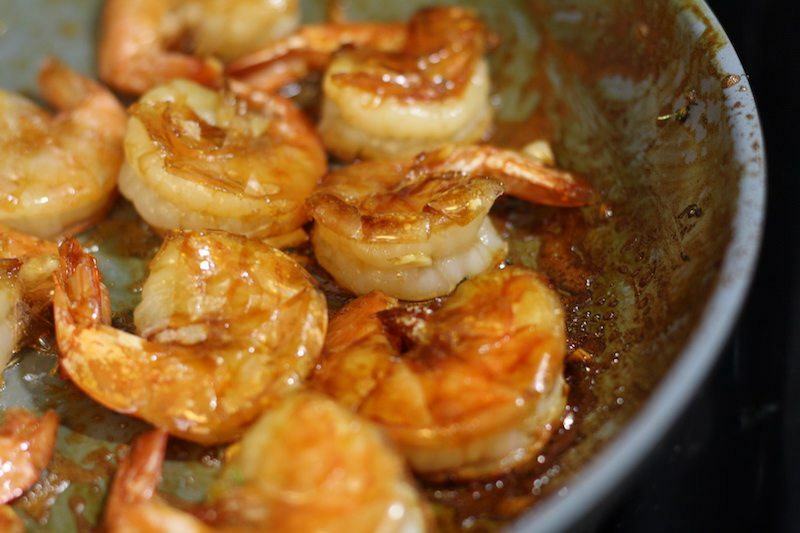 Shrimp doesn't take that long to cook. 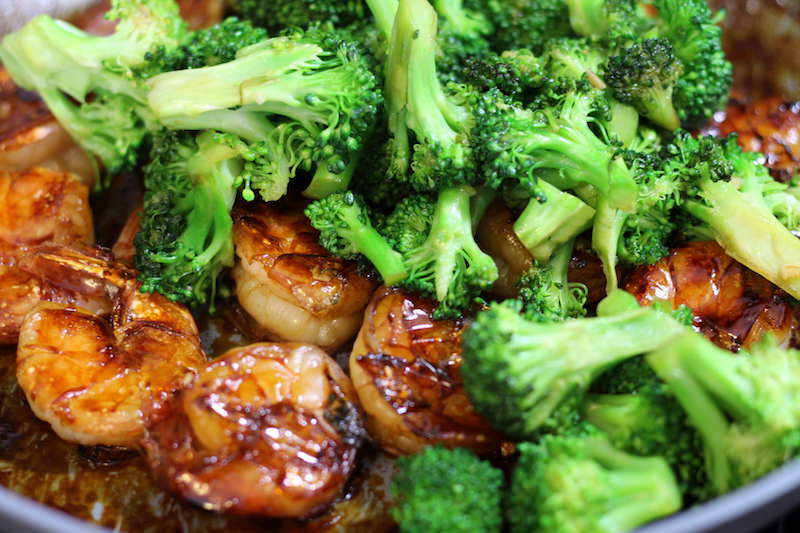 Once it's done, you can add the broccoli, and stir everything up until it's evenly coated to your liking. I just happened to have some rice on hand for the photo. Great! 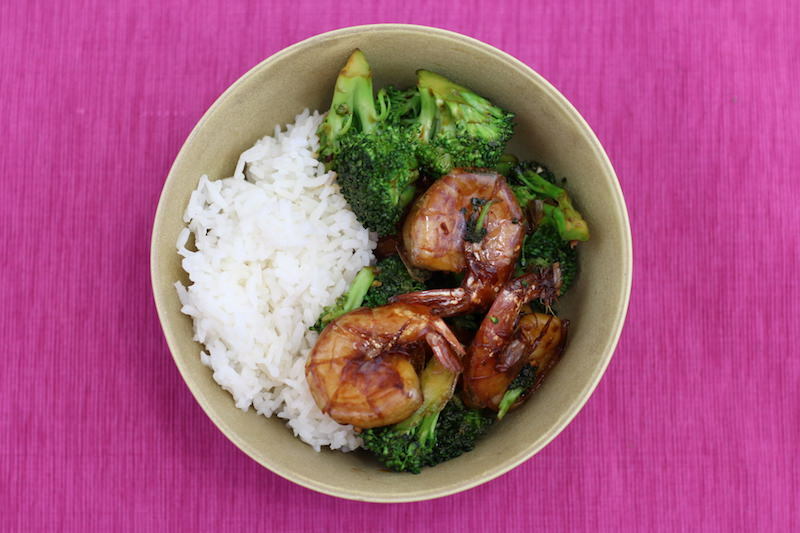 Another awesome idea is to add extra sauce to the pan, then use the sauce as a glaze for the rice and shrimp. I just made some extra sauce the drizzled the fresh honey garlic mixture on top.